The Critically Queer Working Group was established in late 2017 by Rosie Nelson and Rosa Targett, both of whom are PhD students at the University of Bristol. 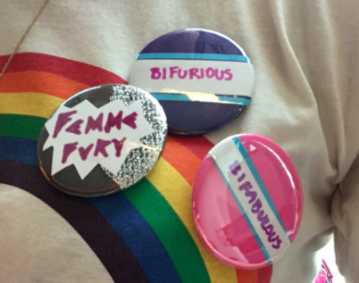 Struggling with the lack of conversation surrounding LGBTQIA+ concerns in their department and academia broadly, and the lack of conversation between academics and community activists, practitioners, or artists, Rosa and Rosie intended to host a conference to foster further communication and discussion. Their intent was to introduce and consolidate relationships between community organisations, academics, artists, performers and more whose work and lives are affected by LGBTQIA+ issues. In beginning to plan the conference, both founders realised that their voices would not be enough to steer the conference, and that a working group would best help diversify the intentions, outcomes, and practicalities of the intended conference. The Critically Queer Working Group successfully applied for a grant and held an inaugural meeting in November 2017 with many academic attendees. This meeting helped shape the direction of the working group, consolidating issues to keep in mind when hosting events, and people who could be contacted to work with in future. Since its establishment, the Critically Queer Working Group has maintained an active Twitter discussing issues pertinent to those who hold a stake in LGBTQIA+ issues, and a mailing list which regularly advertises events, research, and more. The Critically Queer Working Group (CQWG) is hosting a Critically Queer conference at the University of Bristol on September 20th and 21st. Organised by PhD students Rosie Nelson and Rosa Targett, this conference intends to bridge the gap between academics, activists, artists, practitioners, and others who have a stake in what it means to be LGBTQIA+ in 2018. Intending to focus on pragmatic approaches to queer studies, this conference promises an innovative approach to sharing information, promoting conversations, and bridging connections between stakeholders. For further information, please see the CQWG’s website (https://criticallyqueer.wordpress.com/), or Twitter (https://twitter.com/CriticallyQ) or email for further information (criticallyqueerbristol@gmail.com). Critically Queer Working Group website. For the latest information about the group and the conference, check the Critically Queer Working Group website here.